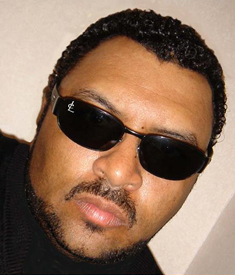 Egyptian Lover started as a DJ for Roger Clayton´s Uncle Jamms Army back in the early 80´s. Egypt´s turntable routines were legendary and Roger was the best programmer to get the party jumpin. In 1983 Egypt released his first record to the "Breakin an Entering" documentary together with Ice T and The Glove pressed only 25 times. In 1984 he had a big part in the production to "Dial-a-Freak" the first 12inch from Uncle Jamms Army on the Freak Beat Label. In the same year he released the West Coast Anthem "Egypt, Egypt" on the Freak Beat label. After the mayor success with this record Egypt founded his own label Egyptian Empire.